Six months after Co-Prosperity Sphere hosted a celebration of local artist and filmmaker Tom Palazzolo, the experimental Bridgeport cultural center is teaming up with Palazzolo again for "Picasso and the Mayor: The Chicago Picasso on 16-millimeter," a program of two documentaries about the famous sculpture at Daley Plaza. Both works, screening from archival prints, were made in 1967, the year they were unveiled. The event takes place this Thursday at 7 PM. Suggested donation is $5. Palazzolo will introduce his short The Bride Stripped Bare, a wry portrait of the sculpture's unveiling ceremony. He'll also take part in a conversation with Annie Morse, a museum educator at the Art Institute, about the circumstances ("somewhat ridiculous but mostly factual," per the Co-Prosperity Sphere press release) leading up to creation of the work. 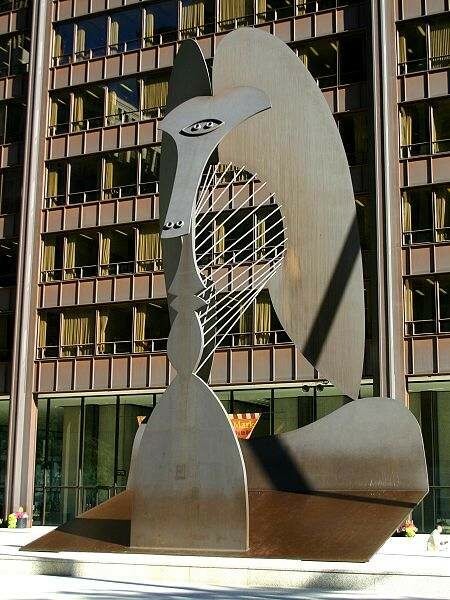 Rounding out the bill is an hour-long work produced for public television simply titled The Chicago Picasso, which further explains the history of the sculpture. Expect to meet a large cast of characters in this history. Those people and institutions instrumental in the statue's creation include: architects Richard Bennett, who first pitched Picasso the idea, and William Hartmann, who oversaw the project for the firm Skidmore, Owings & Merrill; the American Bridge Company, a division of U.S. Steel based in Gary, Indiana, which was responsible for its construction; Sylvette David, the French woman who may have inspired its design (though we'll never know for sure, since Picasso never divulged what it's supposed to be); the philanthropic organizations the Woods Charitable Fund, the McCormick Foundation, and the Field Foundation of Illinois, who footed most of the costs, which came to over $350,000; Mike Royko, whose reports on the unveiling contain some great one-liners. 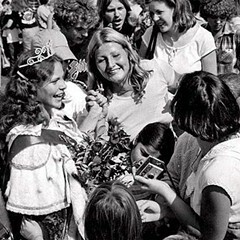 ("If it was [supposed to be] a woman," Royko quipped in one of his columns, "then art students should put away their books and spend more time in girlie joints.") It seems fitting that a public artwork would require the participation of so many people.